We love it when great partnerships happen. When it is with our local business neighbors — even better. This vendor cart was a team effort built by Eberhard of our RE Vision Division and Bikesport owner, Andy, during a skill-building workshop last summer – sponsored by Transition Whatcom and showcasing salvage and portability for vendors to sell their wares. 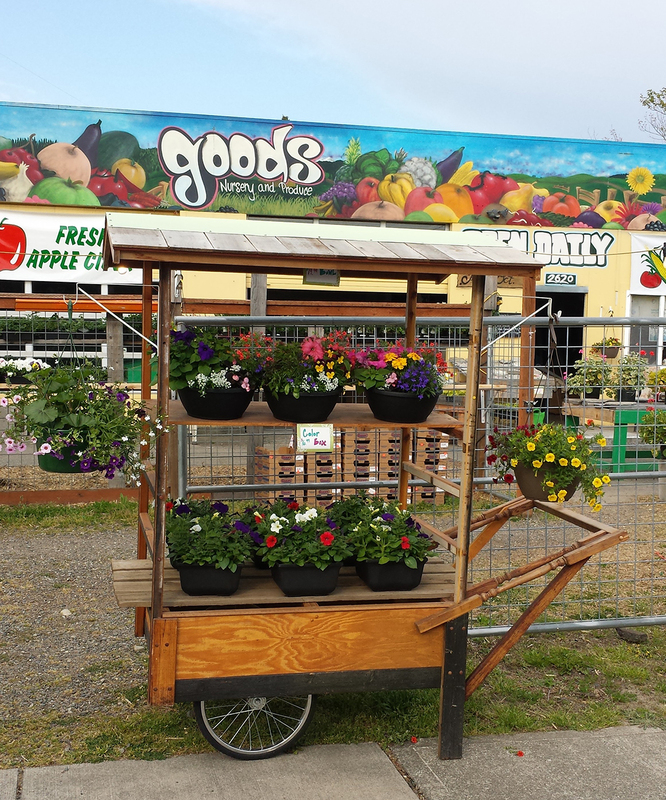 The cart was showcased around The RE Store for a spell and then found a permanent home at GOODS Produce stand. In exchange for the cart, GOODS owner, Cory, gave us store credit — which we are using to fill our greenhouse with a few starts and do some landscaping around our building. Thanks to our community of neighbors doing great things — and for this full-circle exchange!